new cassette available after tmrw at Good Press’ dubbing party That’s Life! Duplicating and frolicking. Good Press present’s a newly constructed, contemporary chronicle of audio offerings from a vast and sprawling pool of artists, musicians, writers, and individuals of cultural note. Each piece of audio resides in a C20, and will be offered for reproduction via the use of a tape duplicator for the price of £2 a pop, along with individual artworks to adorn the casings. 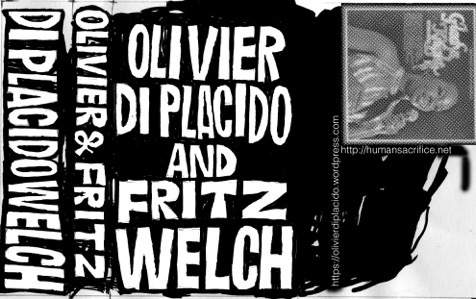 Olivier Di Placido & Crank Sturgeon “Twice Heathen Scent” [CS-6] limited CS out soon on Coherent States.